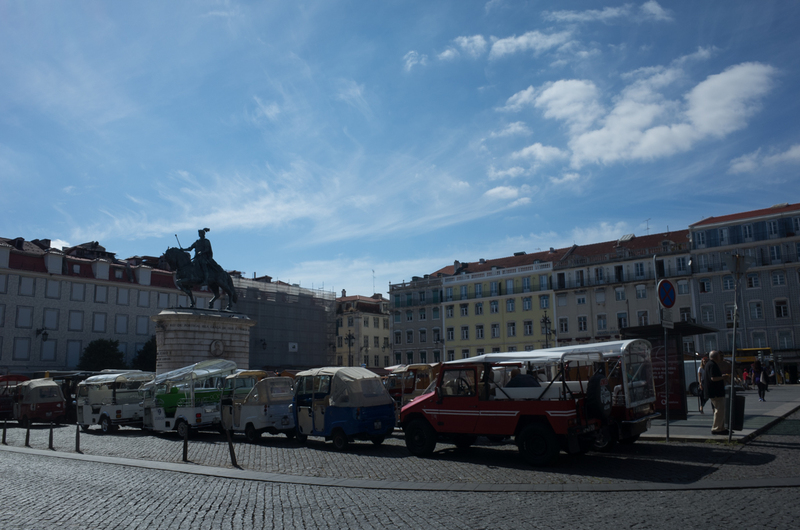 Because I had never been to Lisbon, I decided to learn about it through the city's most famous writers. I had about five or six booked checked out at the library, all famous novels that took place in Lisbon and written by Portuguese authors, but only two of them really left an impression on me, enough to share a few quotes from each. The First is The Book of Disquiet, by Fernando Pessoa, Portugal’s most famous writer. Indeed everywhere I went there were cafés named after him, figurines of him for sale in gift shops, and even a monument where he was buried at the Jerónimos Monastery. I could think of no equivalent American writers who were so venerated in society. The Book of Disquiet is one of his only works translated into English, and it reads more like excerpts from his diary. He makes frequent reference to the Rua dos Douradores in Lisbon, where he lived in a small room overlooking the street. There were a few passages I found from his book that really captured the essence of the city. 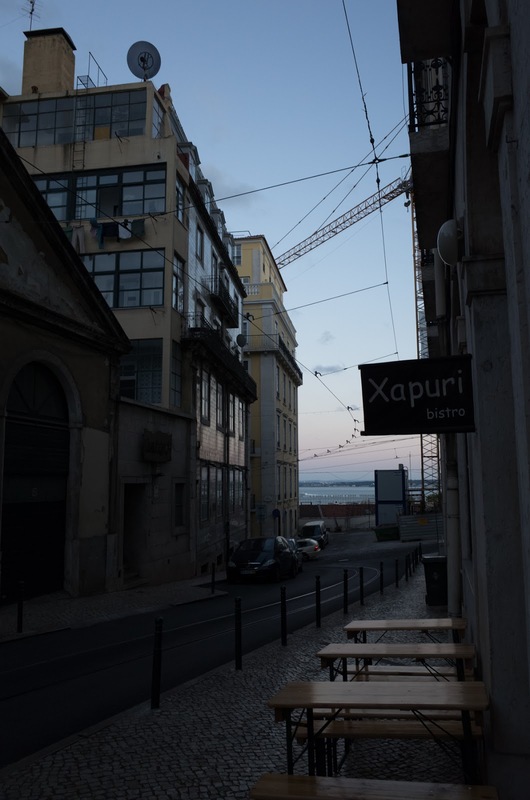 Installed on the upper floors of certain respectable taverns in Lisbon can be found a small number of restaurants or eating places, which have the stolid, homely look of those restaurants you see in towns that lack even a train station. Amongst the clientele of such places, which are rarely busy except on Sundays, one is as likely to encounter the eccentric as the nondescript, to find people who are but a series of parentheses in the book of life (Pessoa, 1). In the plausible intimacy of approaching evening, as I stand waiting for the stars to begin at the window of this fourth floor room that looks out on the infinite, my dreams move to the rhythm required by long journeys to countries as yet unknown, or to countries that are simply hypothetical or impossible (Pessoa, 1). In these lingering summer evenings, I love the quiet of this the commercial part of town, all the more because it’s such a contrast with the noisy bustle that fills it during the day. 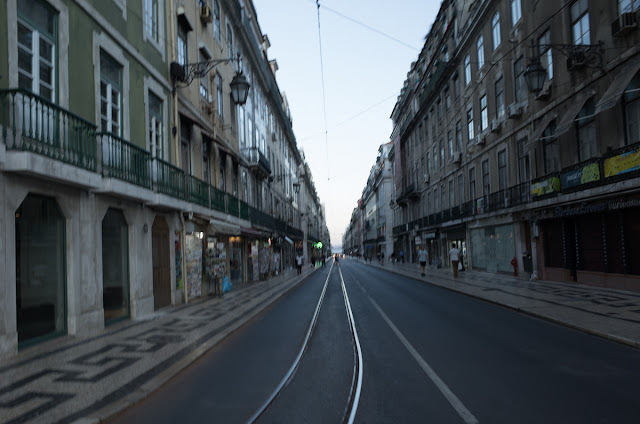 Rua do Arsenal, Rua da Alfândega, the sad roads that reach out to the east where the Alfândega ends, and the long, solitary line of quiet quays: they comfort me with sadness on those evenings when I choose to share their solitude (Pessoa, 22). Praça da Figueira, replete with goods of various colours, fills with customers and peoples my horizon with vendors of all kinds (Pessoa, 28). As the mask of veils fell away, the features of the city were reborn. The day, which had already dawned, dawned anew, as if a window had been suddenly flung open. The noises in the streets took on a slightly different quality, as if they too had only just appeared. 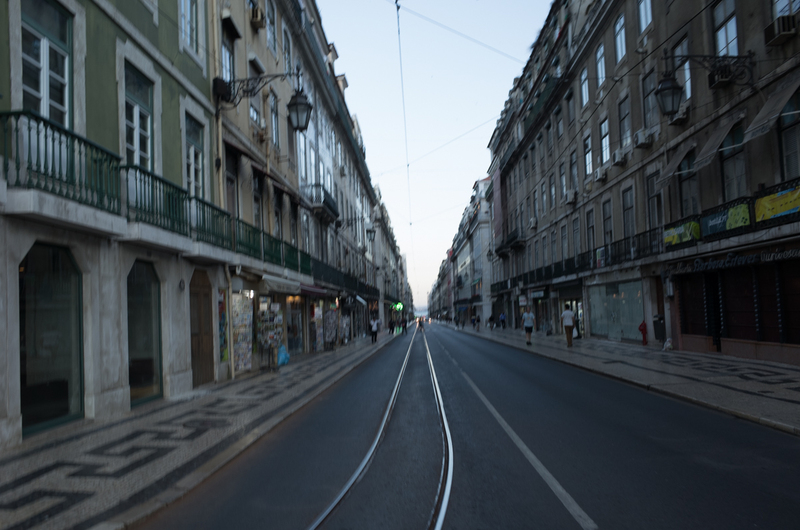 A blueness insinuated itself even into the cobblestones and the impersonal auras of passers-by (Pessoa, 32). Know that I have only to raise my eyes to see before me the sordid skyline of the houses, the unwashed windows of all the offices in the Baixa and the empty windows of the top floor apartments and, above them, around the garret roofs, the inevitable washing hung out to dry in the sun amongst flowerpots and plants (Pessoa, 94). The second book that really impacted me, perhaps even more than Book of Disquiet, was the Year of the Death of Ricardo Reis by Jose Saramago. Ricard Reis is another famous Portuguese writer, and the fictional story follows him from Brazil back to Lisbon after the death of his friend Fernando Pessoa. Here the sea ends and the earth begins. It is raining over the colorless city (Saramago, 1). Several bars were open, side by side, murky, their viscous lights encircled by shadows, the silent image of a dirty wineglass on a zinc counter. 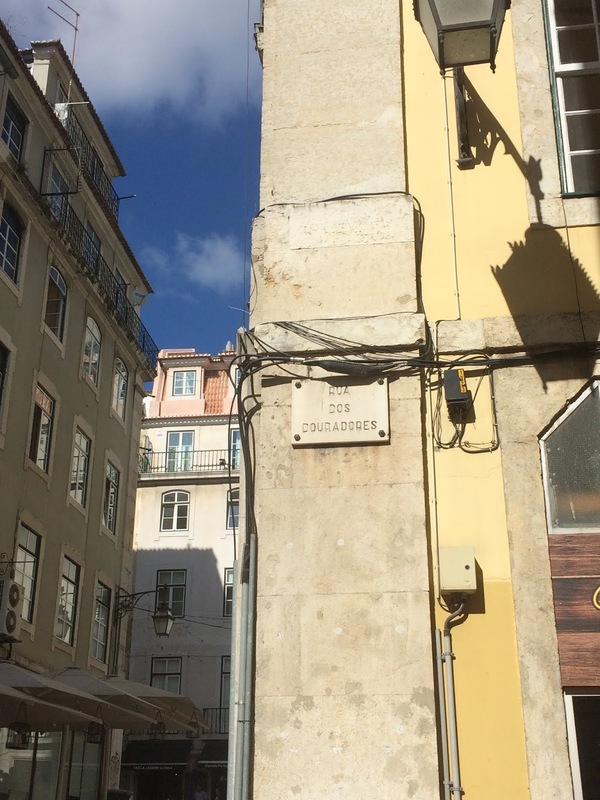 These façades are the great wall that screens the city, and the taxi skirts them without haste, as if searching for some break or opening, a Judas gate, or the entrance to a labyrinth (Saramago, 7). When one awaits sleep in the silence of a room that is still unfamiliar, listening to the rain outside, things assume their real dimension, they all become great, solemn, heavy. What is deceptive is the light of day, transforming life into a shadow that is barely perceptible. Night alone is lucid, sleep, however, overcomes it, perhaps for our tranquillity and repose, the peace of our souls (Saramago, 23). Labels: 2018, PORTUGAL, PORTUGAL Lisbon, What Do I Read?